More than 70 years of experience, passion and family tradition: these are the foundations of the Agostoni brand. Expertise, creativity and an unflinching desire to discover and amaze: this is the true journey of cacao, where the entire manufacturing process takes place in Italy, in an ultra-modern facility. Icam Linea Professionale offer to all professionals: pastry chefs, ice-cream makers and chocolatiers, a wide and very diversified product range to satisfy the creativity inspiration and the pleasure for Excellent Italian Chocolate. At the 40th edition of SIGEP, great success with the audience for the formula of the success proposed by Icam Linea Professionale and Agostoni! ICAM has always embraced the values of Made in Italy: creativity, attention to detail and quality, to produce a first class Italian chocolate. Production of a high quality chocolate starts with the search for and selection of excellent cocoa at the source, with unique, top quality aromas. ICAM is a guarantee of products which meet high standards of quality as a result of the focus on the ingredients and production processes. Control of the production line means achieving high quality standards by monitoring all the production stages: the plantation, the cultivation, the harvest and fermentation, the drying and quality control. The attention of ICAM to global quality, environmental issues and production efficiency, in addition to the expertise in the use of production processes, have led to the construction of a new, modern, innovative plant. With the range of Professional Line products, ICAM has responded to the different requirements of chocolatiers, pastry chefs and ice-cream makers, by guaranteeing excellent performance in all areas of application. By keeping an ever-watchful eye on market trends and the continual evolution of the requirements of professionals and consumers, ICAM has developed recipes that are perfectly in line with the most varied dietary requirements. Since the 1980s, ICAM has been committed to sustainability by establishing solid ties and lasting relationships with the farmers and local cooperatives. ICAM is proud of its reliable quality management system which is up-to-date and certified. 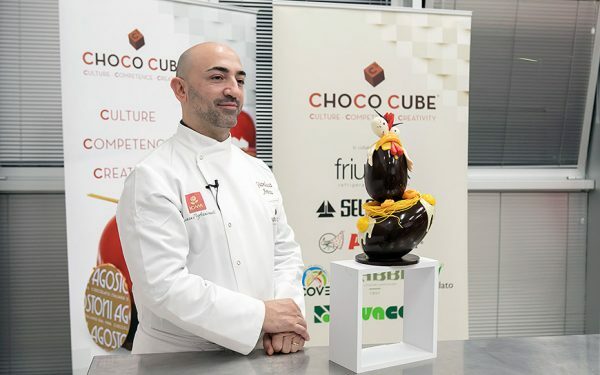 At CHOCO CUBE, the high-level training centre of Icam Cioccolato dedicated to the professionals of the sector, today and yesterday took place the first Workshop with Gianluca Aresu. He taught to a selection of customers of Icam Cioccolato in a Masterclass and a Workshop, to show techniques and his trips to create artistic chocolate on hollow shapes. 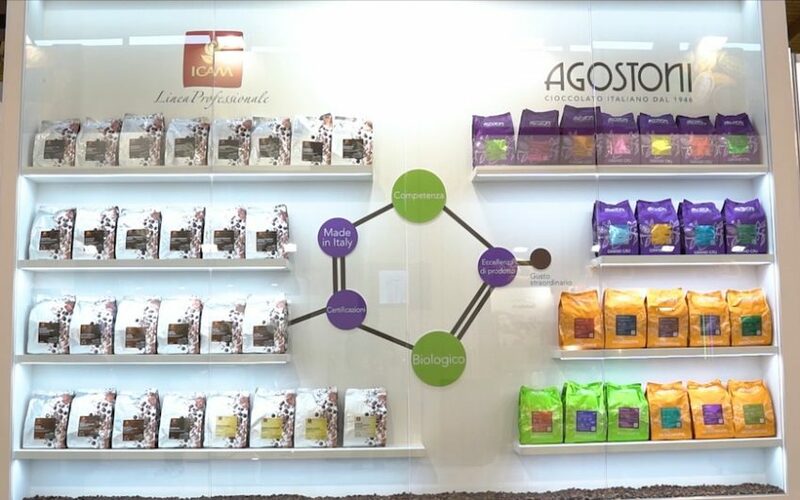 Ernst Knam, Pastry guru and Testimonial of Icam Linea Professionale, will join us in Sigep for a live event dedicated to Agostoni and ICAM Linea Professionale chocolate.